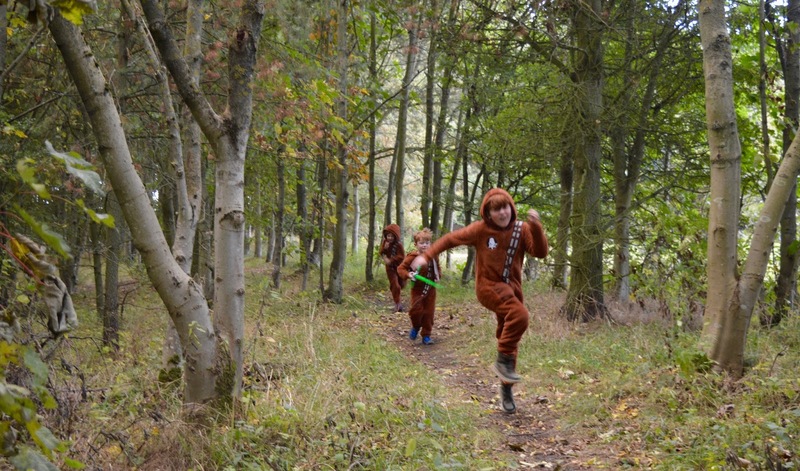 To celebrate the launch of 'Star Wars Where's the Wookiee 2', we decided to have a bit of fun and play the game in real life. 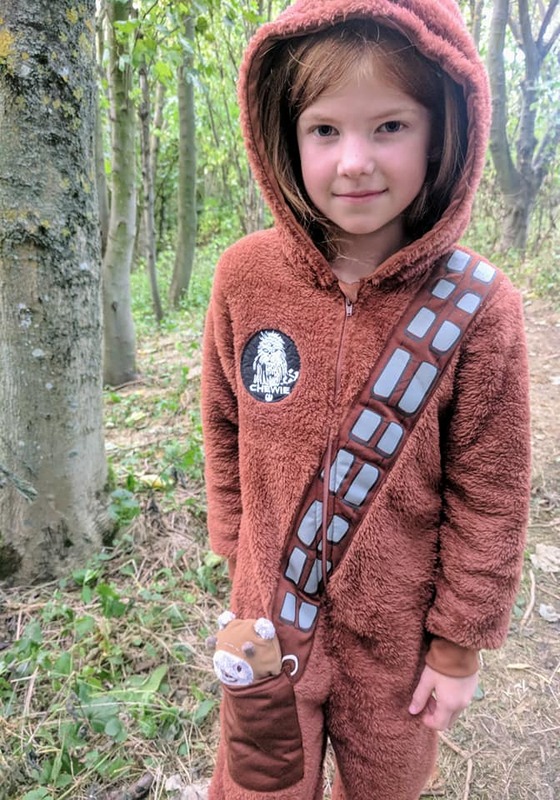 The kids dressed up in their Wookie onesies and we headed to Plessey Woods (aka the forest moon of Endor) where a couple of Ewoks agreed to join in with the fun. 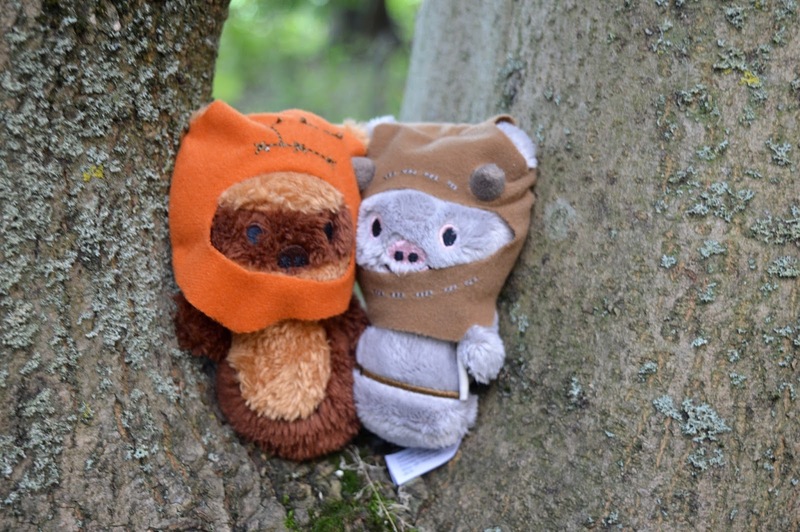 These two cheeky Ewoks (Wicket and Chirpa) heard a whisper that three Wookiees had crashed their space ship on the Forest Moon of Endor and worried for their safety, decided to start a search party through the forest to find them. 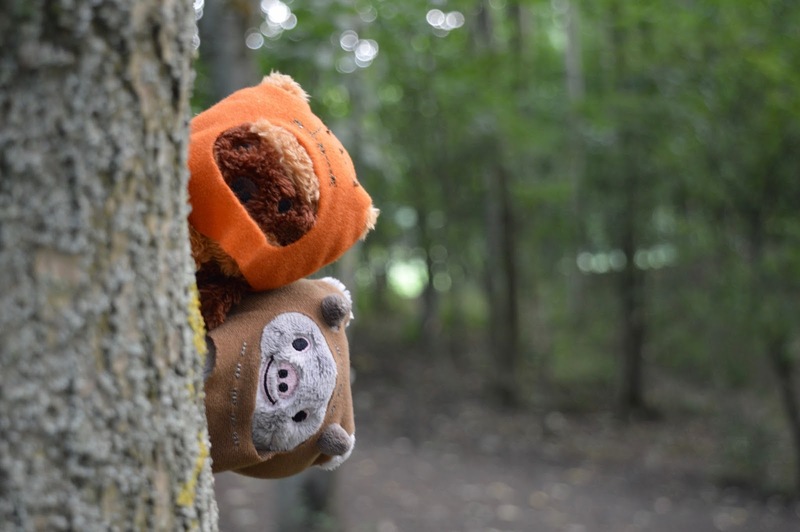 But then something caught Wicket's eye.......a lone Wookiee seemed to be resting in the forest. Yeah! Wookiee #1 (Harry-bacca) was so happy to find someone to help him - he had been separated from his pack in the crash. 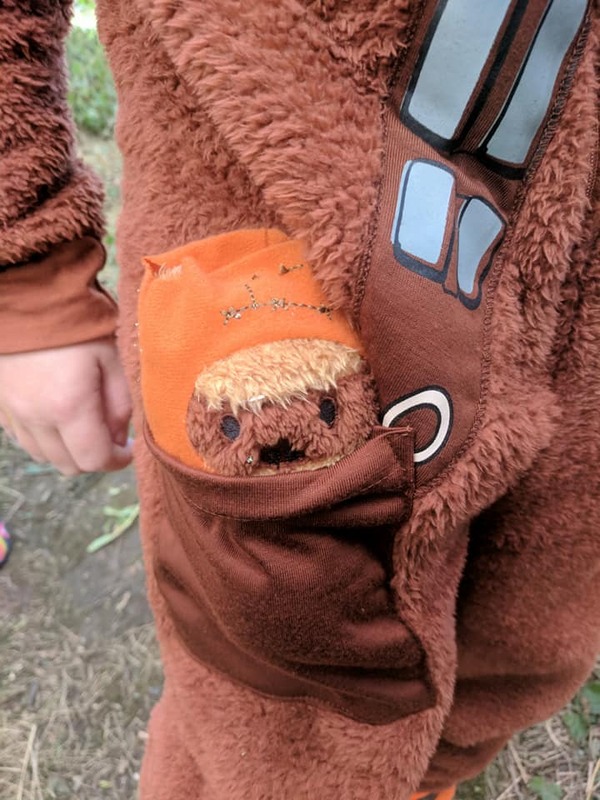 Wicket jumped in his pocket and led the way to find the others. 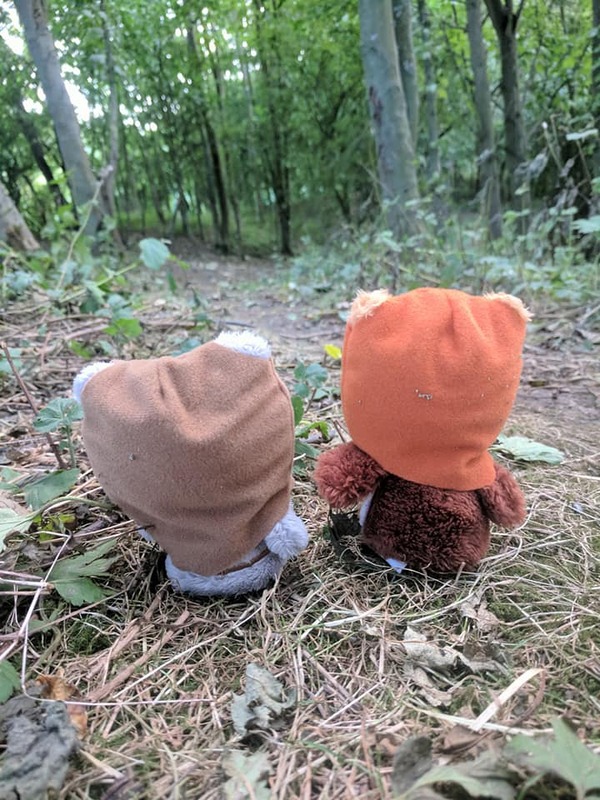 Together, Harry-bacca, Wicket and Chirpa searched the forest for signs of Wookiee life, they looked behind trees, down holes and even scanned the river. 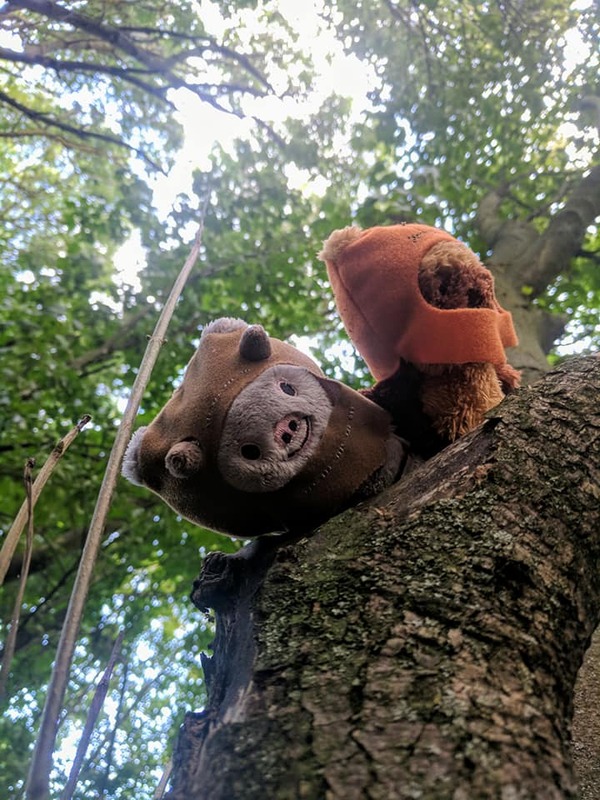 It was only when they remembered to look up that they spotted Wookiee #2 (Heidi-bacca) who has a penchant for climbing trees. Hurrah! Only one more Wookiee left to find. Wookiee #3 (Jack-bacca) is the baby of the Wookiee family and time really was of the essence as it was starting to get dark and they were all worried he might be feeling scared. 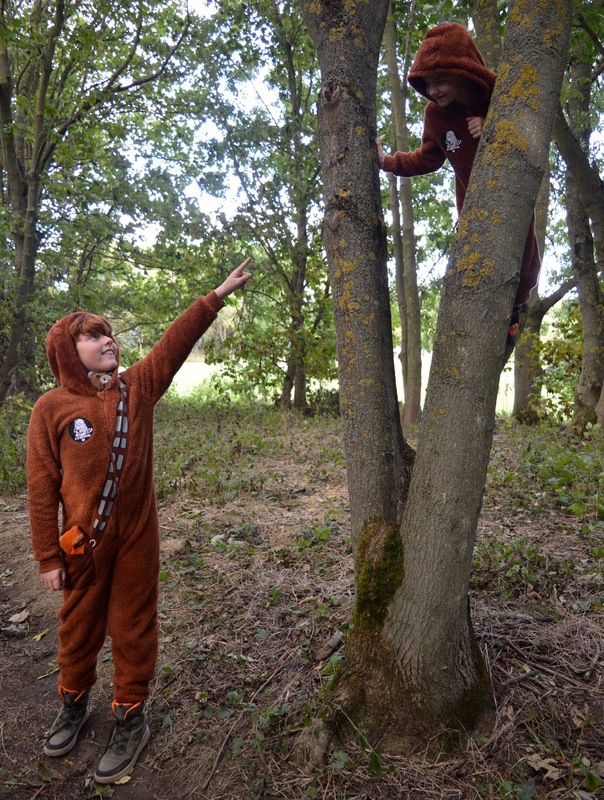 The Wookiee and Ewok search party scoured the woods for Jack-bacca for what felt like hours. 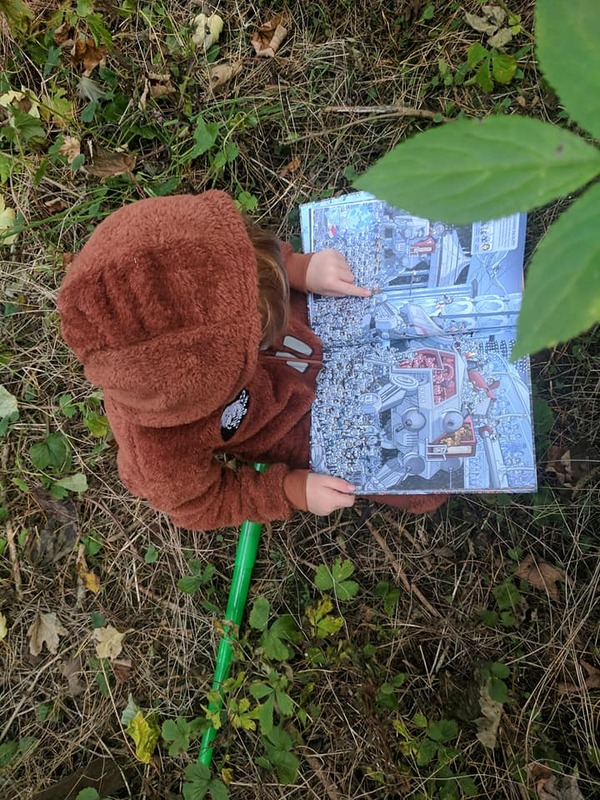 Eventually, they found him sitting on the forest floor reading his favourite book (Star Wars: Where the Wookie 2 in case you hadn't guessed) without a care in the world. Now that everyone had been located, it was time for Harry-bacca, Heidi-bacca and Jack-bacca to say goodbye to their Ewok friends Wicket and Chirpa until next time. 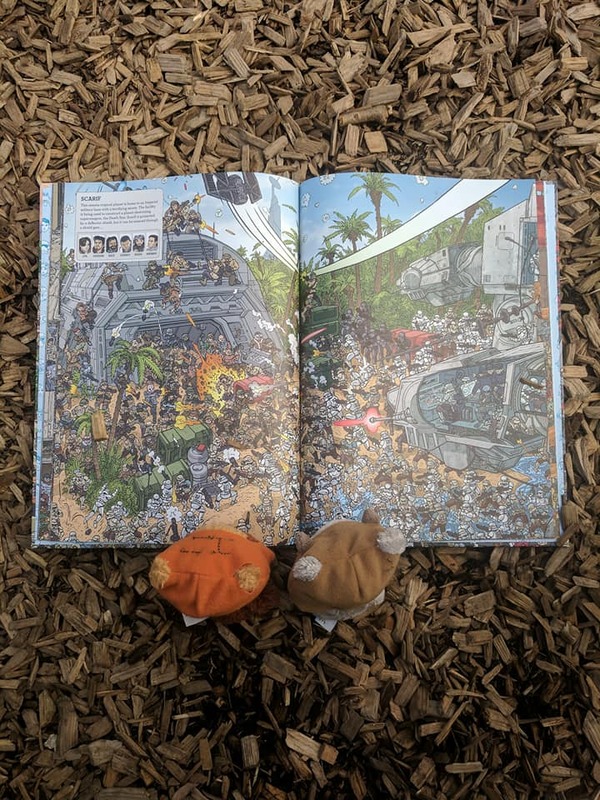 The Wookiees presented the Ewoks with their new book as a special thank you for their help before climbing aboard their ship (which thankfully hadn't been damaged in the crash) and heading back home to Kashyyyk for a well earned cup of tea. 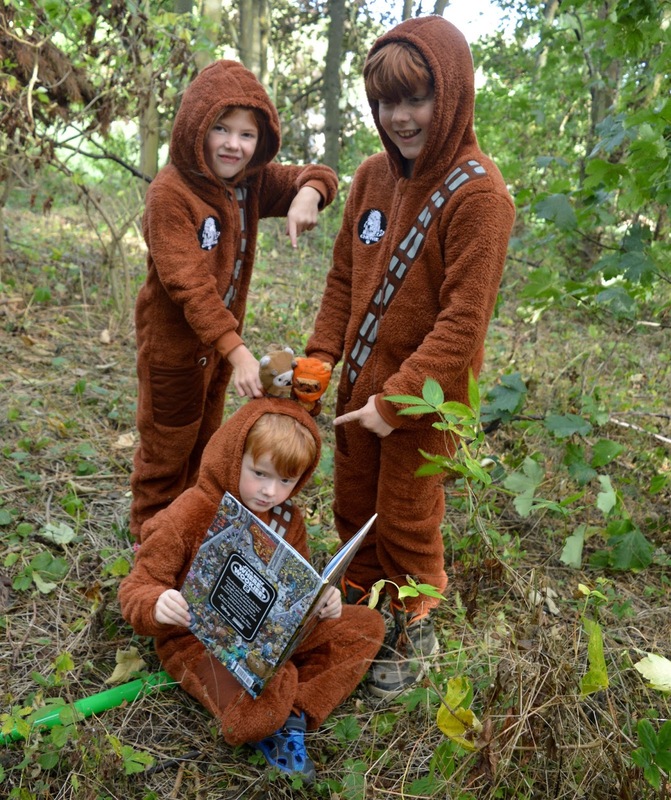 What do the Ewoks think of their new book? 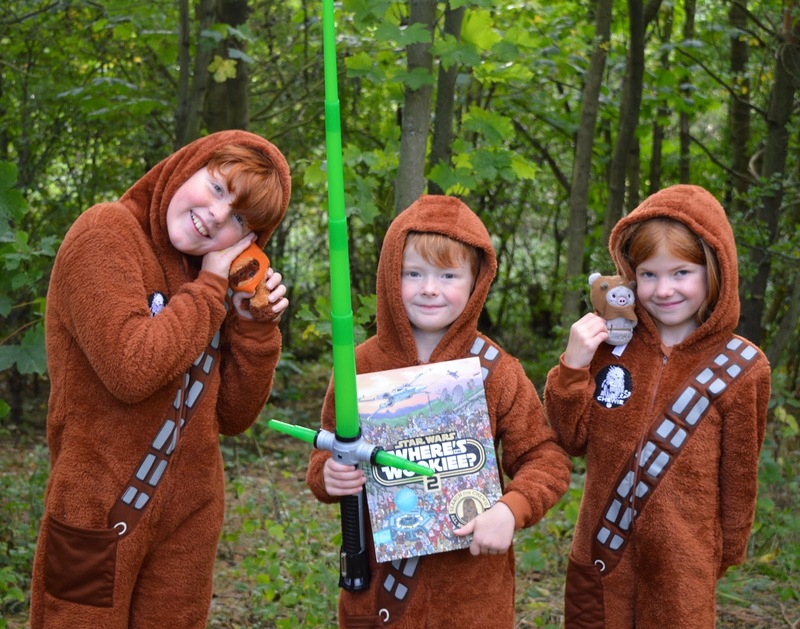 The Ewoks had never received such a lovely gift and adore their new book. Chirpa would definitely recommend it to any Star Wars fans - young and old! 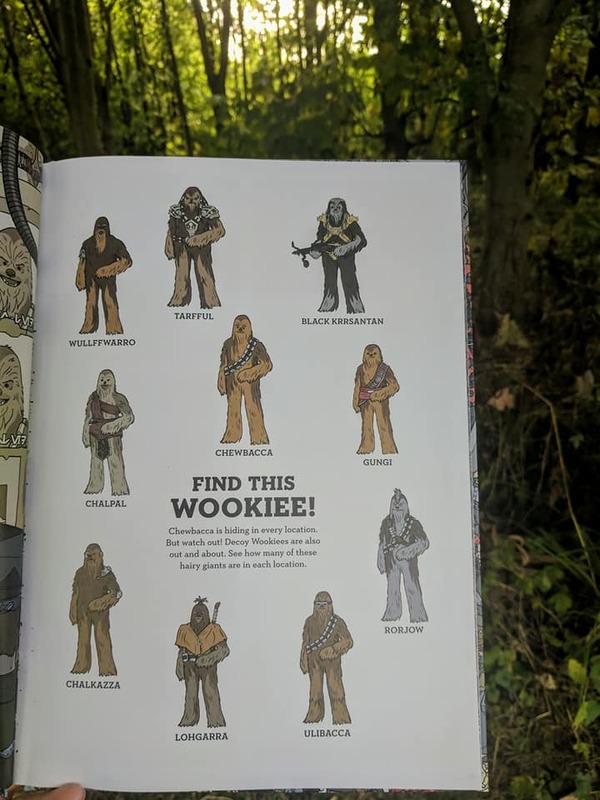 This fun book will provide hours of entertainment as you search for Chewbacca and his friends across various locations. If you're a fan of Rogue One, you'll be delighted to hear that locations from the film appear in the book too. 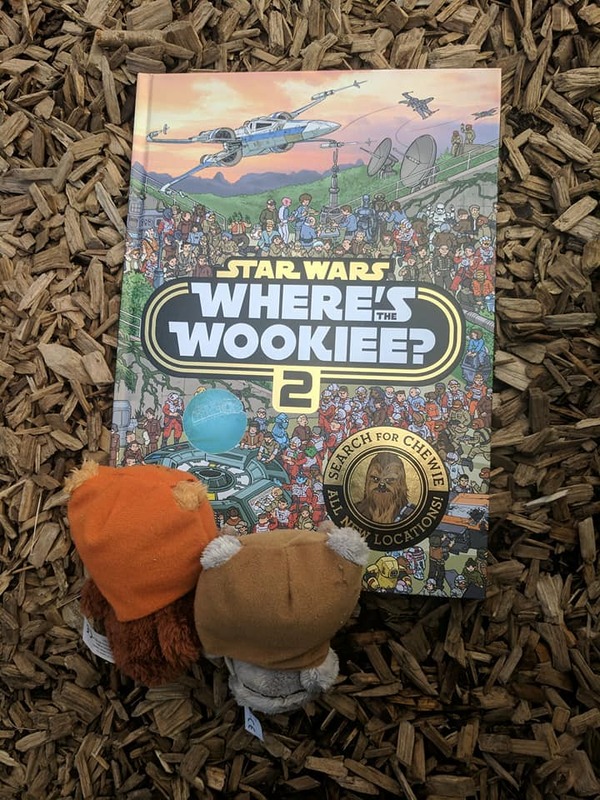 Wicket thinks that Star Wars : Where's the Wookiee 2 is a nice book for keeping kids of all ages entertained during long journeys across the galaxy and is confident it will keep children quiet for at least 20 minutes at a time if their grown ups would like some peace and quiet. 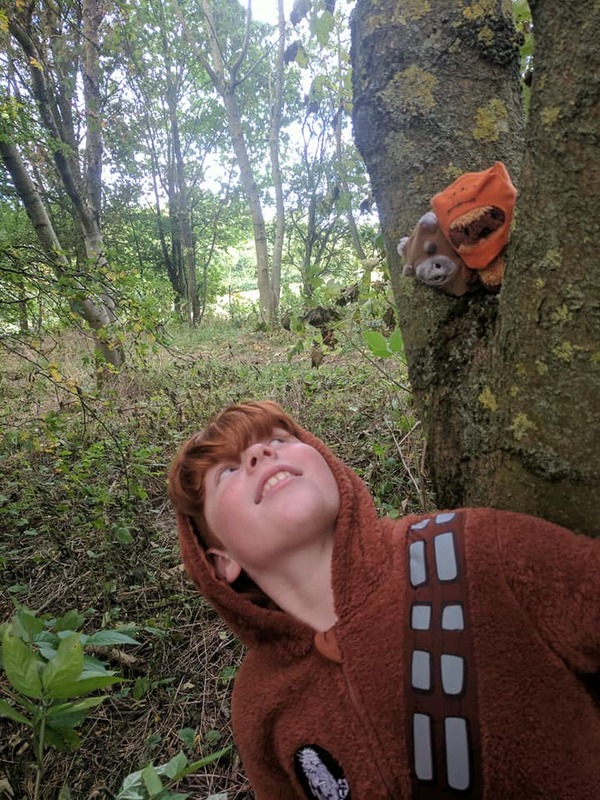 As well as searching for Wookiees, parents can set the children additional challenges (eg count the number of times R2D2 makes an appearance) and it really is a book that you can come back to time and time again. You can buy Star Wars : Where's the Wookiee (original) and Star Wars : Where's the Wookiee 2 from Amazon and most good book stores. 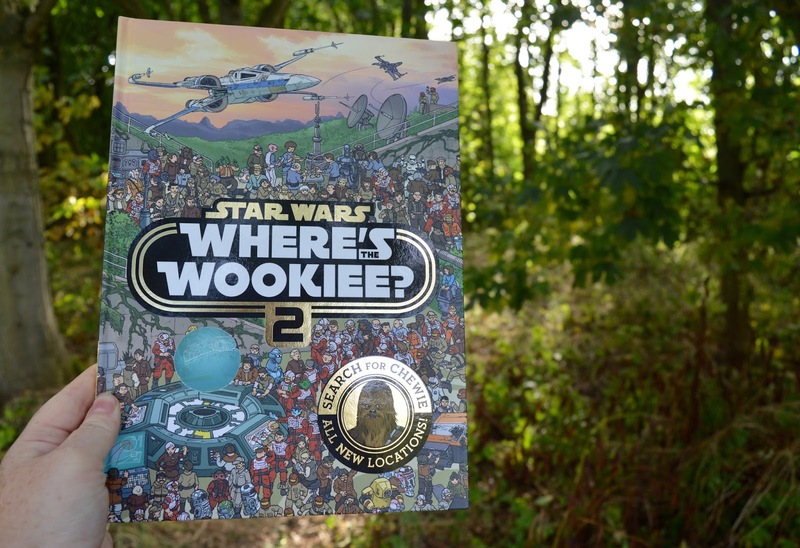 Enter our rafflecopter giveaway below for your chance to win a copy of Star Wars : Where's the Wookiee (original) and Star Wars : Where's the Wookiee book 2. You can enter daily via Twitter. One winner will be selected at random from all valid entries. Good luck! It looks like you had so much fun, brilliant photo's ! OMG this post is so much fun!! I want to come play in the woods with the Wookies! I love how far you developed your story here. 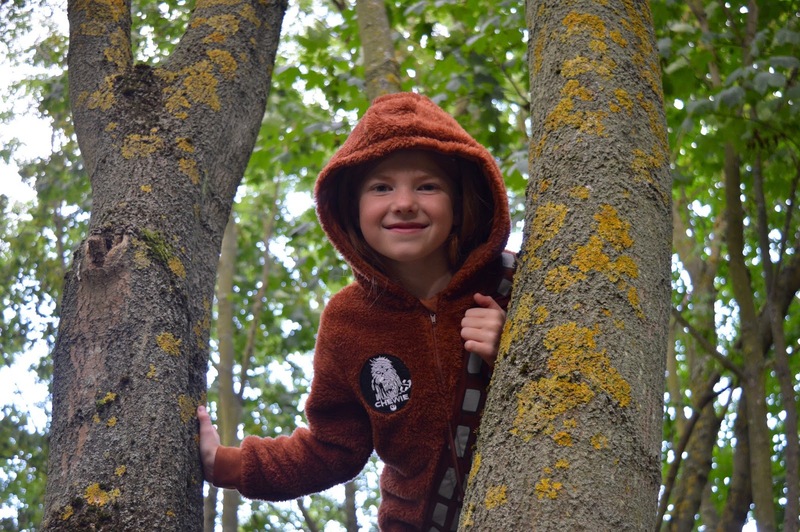 Amazing photos, the wood is brilliant for your wookies! I'm not a huge Star wars fan.... I don't even know what wookies are, but it felt right to say that! Puzzle books and spotting games are my favourite. Usually I pick up the kids un opened ones and finish them myself instead. Looks like your kids had so much fun, def something my son would love to do, might even the dress the dog up as well, great photo op!